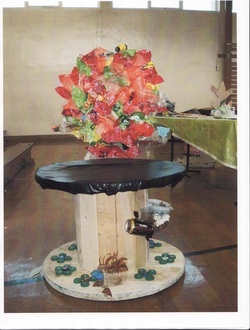 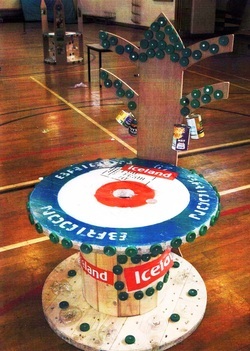 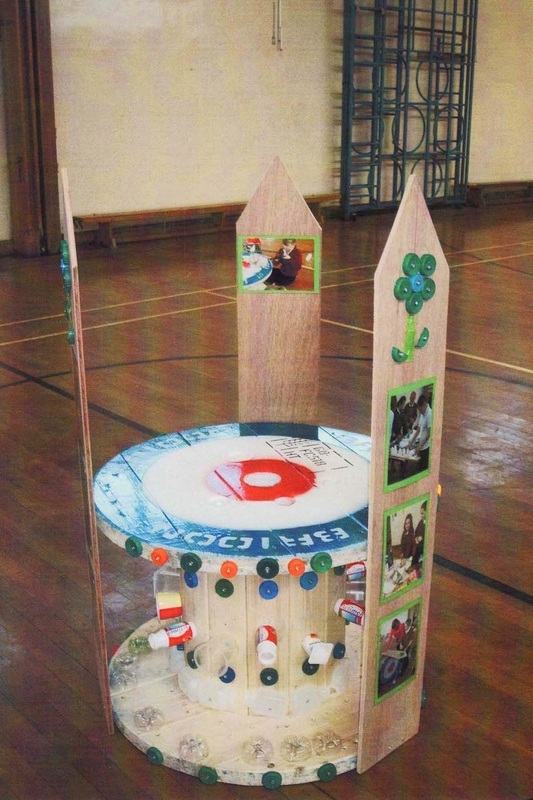 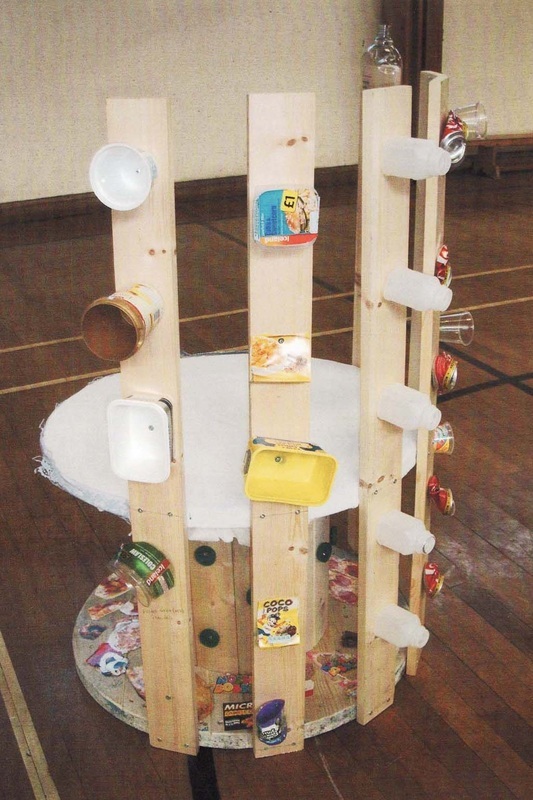 Old cable drums were donated by a local firm & were transformed into seating, by pupils from Fordley Primary School, using recycled materials that the school had collected. 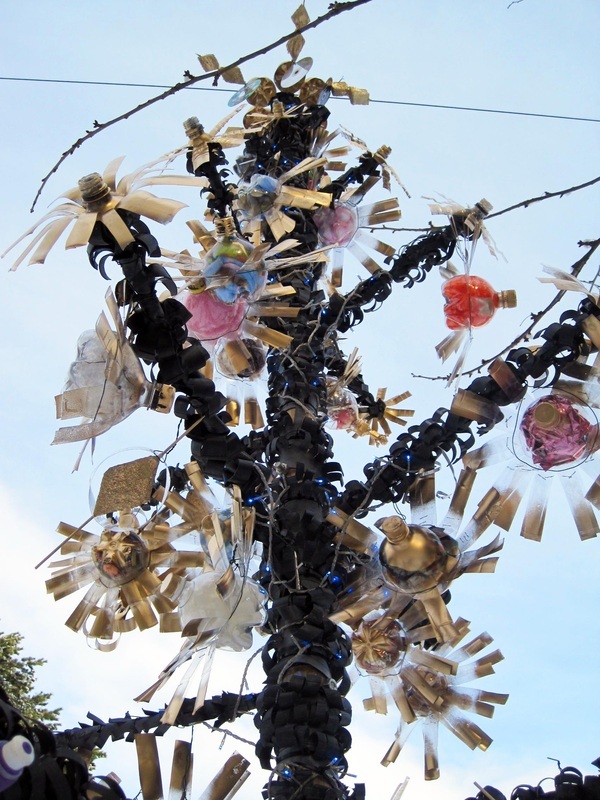 The tree had a steel frame which was wrapped with cut up old bicycle tyres. 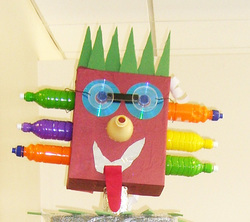 Plastic drinks bottles were then cut & re assembled to form decorations. 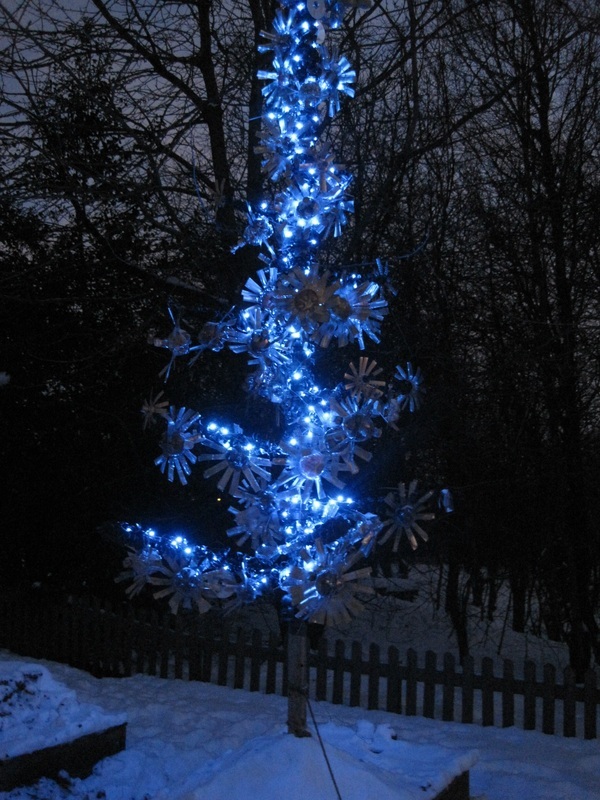 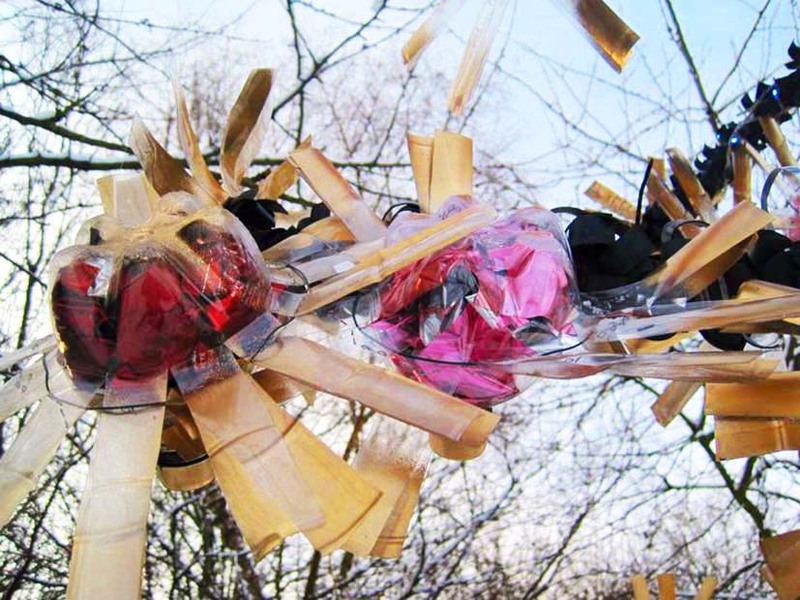 There were a series of trees made by various artists & displayed at the House of Objects in Benton. 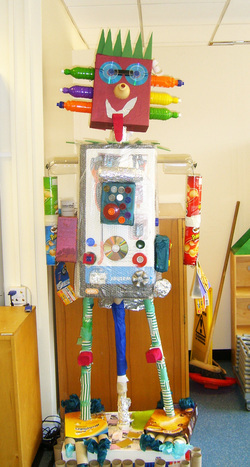 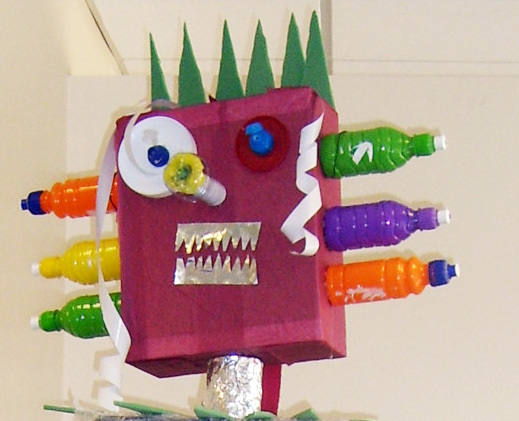 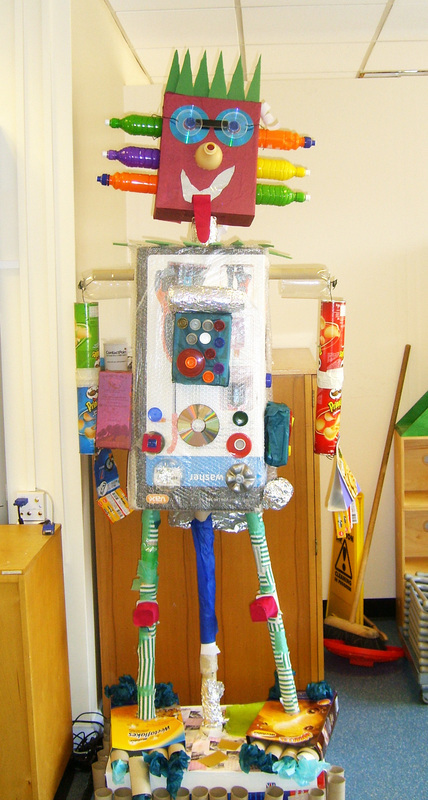 Working with children from Ryhope School in South Shields, we constructed a large robot with two different sides to his face.